11 month old chocolate female after a successful pheasant hunt. 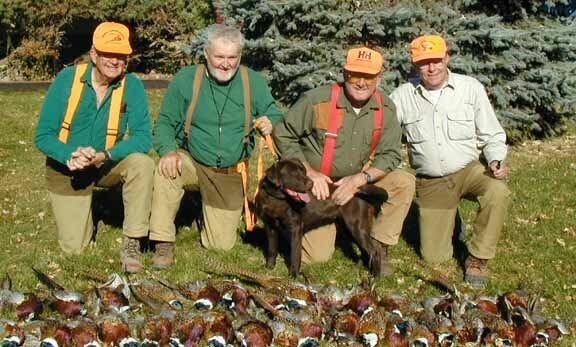 Bella guided for Haines Hunting Service in Gregory, South Dakota. Richard Swain, Jackson, TN; and Sid Spragins, Jackson, TN.